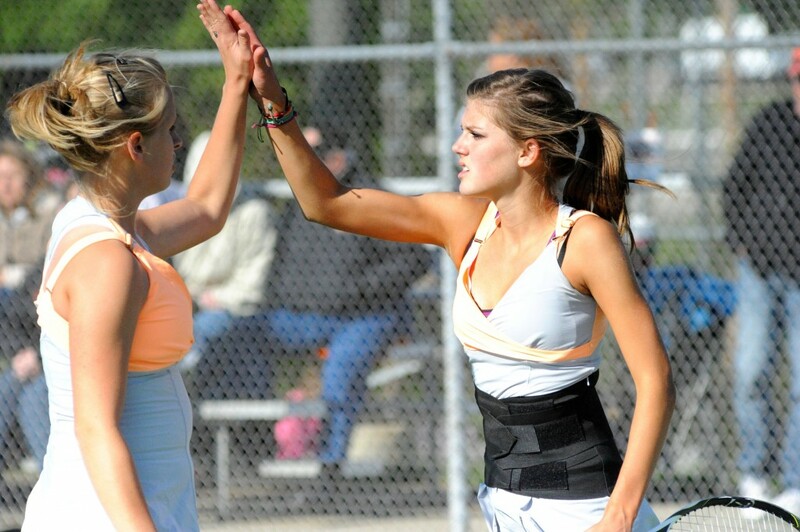 Day one of the Northern Lakes Conference tennis tournament began at Concord High School, and directions were established as the first round was completed between the eight schools. Overall top seed in one singles, Sarah Hartle of Warsaw, nearly swept Kennedy Walter of NorthWood in a 6-0, 6-1 result. 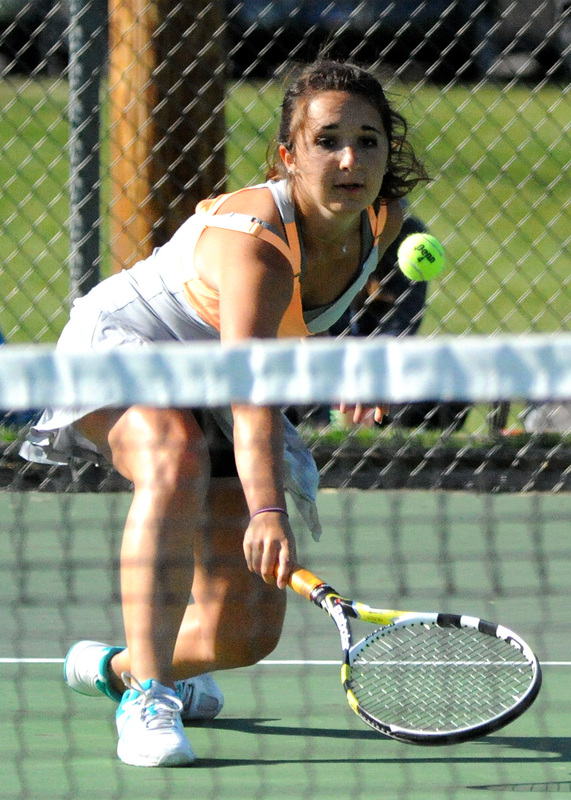 Warsaw’s Jacqueline Sasso, the top seed at three singles, did earn a clean sweep of Wawasee’s Sam Klinge. Warsaw’s Olivia Wallin and Lindsay Sciarra, the two-seed at one doubles, got a battle from Sara Wysong and Tori Schwartz of NorthWood before winning 6-3, 6-1. 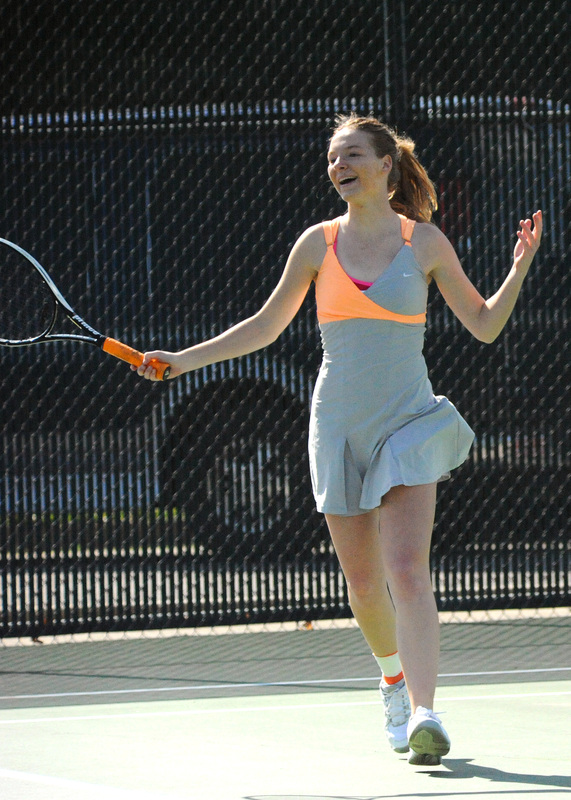 On the losing end for the Lady Tigers were two singles’ Sarah Boyle, a love and one shortie to Ashley Owens of Northridge and the two doubles team of Mallory Bartel and Rachael Alexander, two and three, to Northridge’s Sam Harkrider and Kate Anonen. 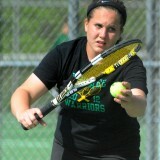 Wawasee’s one singles representative, Morgan Geer, lost 6-1, 6-2 to Sarah Smith of Northridge. The one doubles team of Karla Allen and Mia Hauser were no match for Concord’s top duo of Katie Showalter and Kathrin Bennett, losing in a shutout. Wawasee were also shut out of the championship side of the bracket when Katy Ashpole was held scoreless against Corinn Whittaker of Memorial in two singles play and the two doubles team of Samantha Prins and Laura Romar lost love and one to the top seed from NorthWood in Kayla Bear and Brooklyn Moore. The only upset of day one came in three singles, where two-seed Hailey Stiver of Concord lost to Northridge’s Courtney Clark 6-7, 6-1, 6-2. Tennis will resume Thursday with bracket play and conclude Friday with championships and placings. Wawasee two doubles player Samantha Prins makes an attempt at a shot at the Northern Lakes Conference tennis tournament. The Warsaw one doubles team of Olivia Wallin, left, and Lindsay Sciarra celebrate a point at the Northern Lakes Conference tennis tournament. 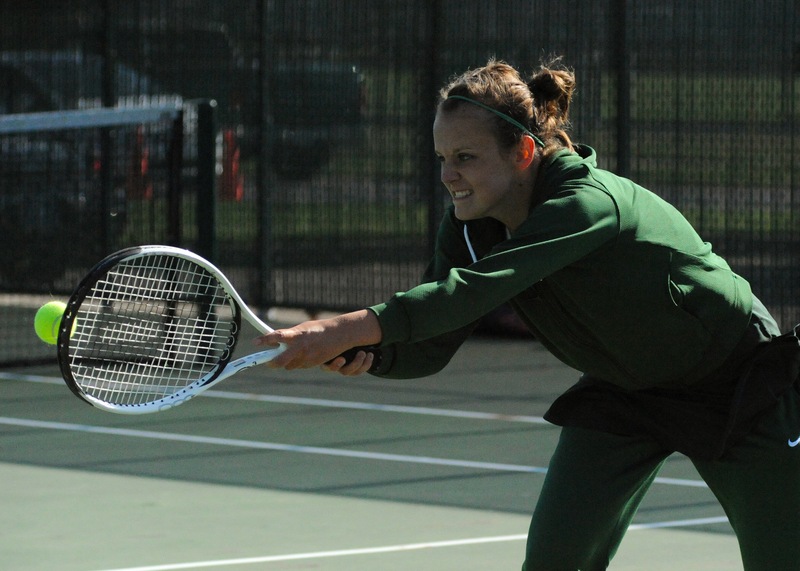 Warsaw’s Jacqueline Sasso lunges to make a play on a shot from Wawasee’s Sam Klinge at the NLC tennis tournament. Warsaw singles player Sarah Hartle gestures during play against Kennedy Walter of NorthWood at the NLC tennis tournament. 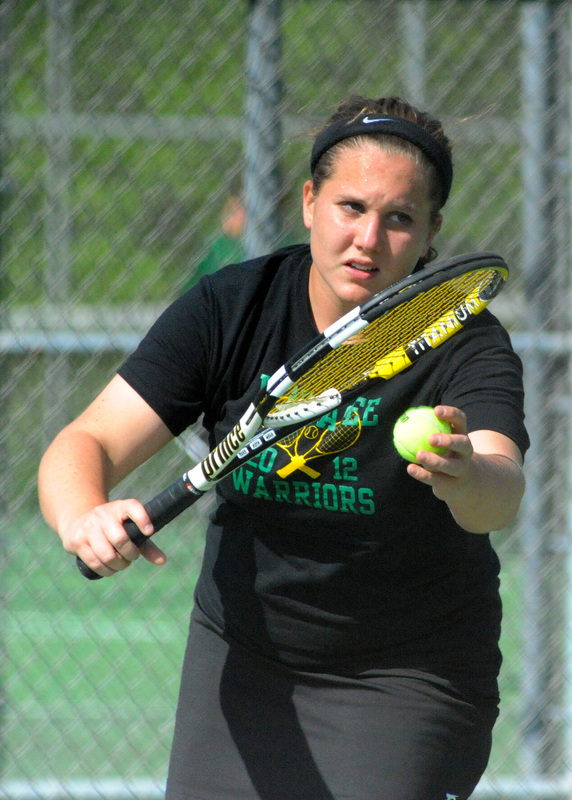 Wawasee’s Katy Ashpole prepares to serve to Memorial’s Corinn Whitaker at the NLC tennis tournament at Concord.